The first demo entitled On dist. was recorded in September, 1996. After the release of the material based on extreme/thrash/death metal, Tamás Kátai - who also takes part in atmospheric/experimental act Darklight and avantgarde black metal band Thy Catafalque - joined the band. In the Autumn of 1997 Gire was asked to support industrial/grind band Intense on their tour due to the great echoes from underground magazines and fanzines reflecting to ‘On dist.’. Just before the tour (in August, 1997) Balazs Hermann joined the band as a new bass guitar player. Meanwhile members were trying to move towards a more instinctive, expressive and special way of art, where plenty of colours would have entwined from classical music to the most experimental motifs. Not everyone in the band shared these ideas about music, so first vocalist Imre Jáksó, then drummer Gábor Borbás left Gire by the June of 1998. This process made the work slower and harder as new members have not arrived, the two guitar players took the microphones and programmed drumming has been used instead of a flesh-and-blood drummer. 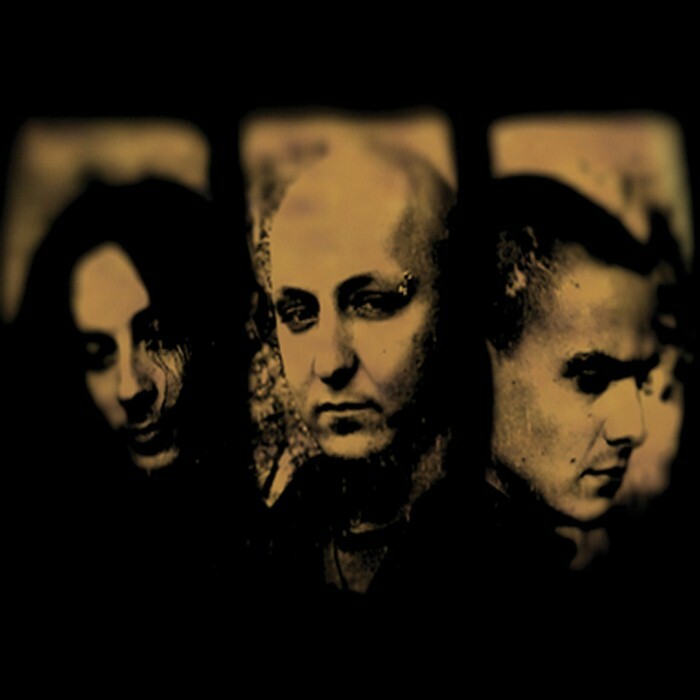 In 1999 Gire released their second demo called ‘Energire’ including seven songs and by September 2000, a promo CD was created, entitled ‘Hét madár’ (Seven birds). In the time after this, they changed their poems’ language from Hungarian to English and special instruments were also added, like the conga, the darbuka and the didgeridoo. The result is the promotional CD “Metabiosis”, released in March 2002. For the titlesong, a video came out in September 2002. On the 22nd of April, 2003 Tamás Rozsnyai (guitars/vocals), a founder member of Gire left the band after 8 years. No new member arrived again, Gire appeared in the IV. Nightbreed Festival was made as a trio and a new three-track demo (the fifth) came out in September called simply ‘V’. Guest musicians also participate, namely Anita Bíró on violin and Lambert Lédeczi, singer of cultic Hungarian black metal act Ahriman. By the end of this year the band appears in an underground death/black metal compilation disc of Surlity Fanzine from Thailand and in a Hungarian CD magazine Stereo Morphium as the honouring company of Aebsence, Stereochrist or Angertea. On the 12th of March, 2004 Gire supports Soulfy in Petőfi Csarnok, Budapest. The concert is filmed and a new video is coming out in September together with the sixth material ‘Nádak, erek’. This short demo contains the nine-minute long titlesong, a Sepultura cover and the video of Eocén Expressz. ‘Nádak, erek’ is the first song ever featuring female vocals by Judit Sarkadi. By the October of 2004 the third video of Gire (Nádak, erek) is about to launch. In the March of 2005 supporting Katatonia in JATE Club, Szeged and a day after a gig in Budapest at MetalMania 2005 Festival together with Cradle of Filth, Apocalyptica, Katatonia, Moonspell or The Haunted. In the May of 2005 Balázs travels to Scotland. ‘Till he’s back, Péter Patkós (Gőzerő, Hitemp) plays as a session bass player playing with them at VI. Nightbreed Festival in July where Lambert also performes on stage during Aranyhajnal. Balázs arrives back by the end of the summer and the band is about to start the recording session of their first full-length album entitled Gire, finally released in the February of 2007 as a self-financed digipack CD. “I am sorry to announce that Gire has split up. The main cause is guitarrist/vocalist Zolcsi’s unactivity and will to stop all his musical activities. As bassplayer Balázs is employed outside Hungary, the band is not able to exist as a band any more. Our last gig will be held in on 22 September in Hódmezővásárhely. This site or our myspace page will remain active though. In the future Balázs will play in Scotland, while I’ll record the new album of my avantgarde metal act Thy Catafalque. After the release of this CD, I’ll try to build another band worthy to the legacy of Gire.